In the February edition of The Psychologist Barrow et al. posed a number of questions to the British Psychological Society. The main question related to the important questions of representation in UK psychology and what the Society is doing about the imbalance in the discipline. The following outlines the questions and seeks to provide answers – where it is possible to do so. Q. Are the demographics of the Society and UK psychology imbalanced and skewed towards individuals who are female and white? A. The BPS membership currently comprises 42,088 females and 12,767 males. In terms of ethnic groups, from those members that have provided details, 9812 are white, 181 black and 723 other. Thus the evidence supports the perception that UK psychology (in terms of Society members at least) is predominantly white and female. Q. Is this imbalance reflected in the areas of professional practice such as educational and clinical psychology? A. Data on the membership of the practitioner Divisions suggests that this is the situation with the exception of the Division of Sport and Exercise Psychology which has a higher proportion of male members. Q. Whether it matters if the members of a profession are unrepresentative of the population it seeks to serve? A. We do not know the views of service users to answer this question and would welcome any findings or data that can address it. Without the data it is only possible to state that if the profession is unrepresentative of the population it serves it raises two questions. Firstly, why doesn’t the profession attract a more representative group of individuals? And secondly, to what extent does this have an impact on the people who use those services? Q. To what extent does this lack of representation concern the British Psychological Society? A. This is a concern, as it is to many other professional bodies and higher education providers. The concerns centre on (1) the reason why the profession/discipline has the demographic profile it does, and (2) what can be done to address this imbalance and lack of representation. The reasons for the demographic profile are highly likely to relate to the ‘pipeline’ of students coming into university from A-level psychology. As noted by Barrow et al., the majority of A-level students and undergraduates studying psychology are female (81%). How to attract more male students to psychology is as much a challenge for the discipline as is for others, such as engineering, where men dominate and the recruitment of women is problematic. With a female-dominated pool of students it is inevitable that more females will progress into professional training by weight of numbers alone. Professional training brings with it additional challenges, such as funding. Whether the change to the funding arrangements for undergraduate degrees in the UK has had an impact on progression to professional courses is yet to be determined. The issue of unconscious bias in the selection processes for professional training is another consideration. If this exists (and we do not know that it does), anonymised applications that are blinded may be a possible way forward. Read this useful literature review of unconscious bias in higher education. Lack of representation is a concern for the British Psychological Society, as it is for the government, learned bodies, other professions and society. 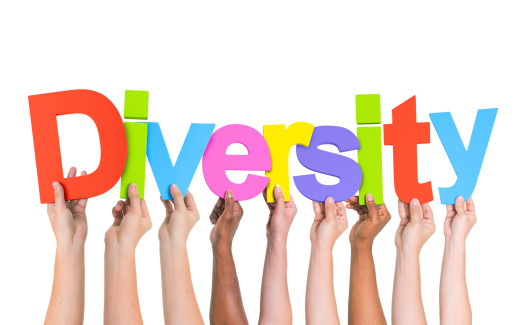 Without inclusivity we lose out on the talents of the many people who could make valuable contributions to the profession, and to those we serve. Q. What actions may be necessary in response to lack of representation? A. Having said that it is a concern for the British Psychological Society, it is reasonable to ask what it is doing about that concern. The answer lies in its determination to acknowledge the need for greater equality, diversity and inclusion in all areas of policy and practice. To that end a revised Equality, Diversity and Inclusion Policy has been developed, the Society has signed up to the Science Council’s Declaration of Diversity, Equality and Inclusion . The Society has initiated a Social Justice and Inclusion group to scope out and take forward good practice within the Society, and is actively supporting the Equality Challenge Unit Athena SWAN charter initiatives that are an increasingly important aspect of the work of university psychology academic units. Initiatives such as the Division of Clinical Psychology Inclusivity Conference held in Birmingham on February 26th are central to the Society’s aim of supporting and promoting the equality, diversity and inclusion agenda. To summarise: the British Psychological Society recognises that there is underrepresentation of certain groups within its membership and within the discipline. In part this is due to factors beyond its control, but that does not absolve it of its responsibility to address the matter within the organisation and with its membership. Making that change will take time, resource and determination. Ultimately achieving representation that reflects the general population will only be achieved through the joint actions of both the Society and its individual members.